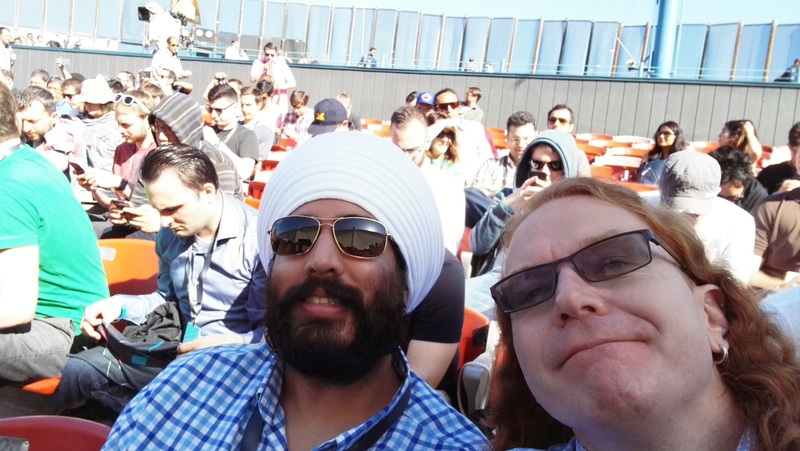 Disclaimer: The following are my personal views and experiences at this year’s Google IO. They are not representative of my employer. Should you want to quote me, please do so as Chris Heilmann, developer. 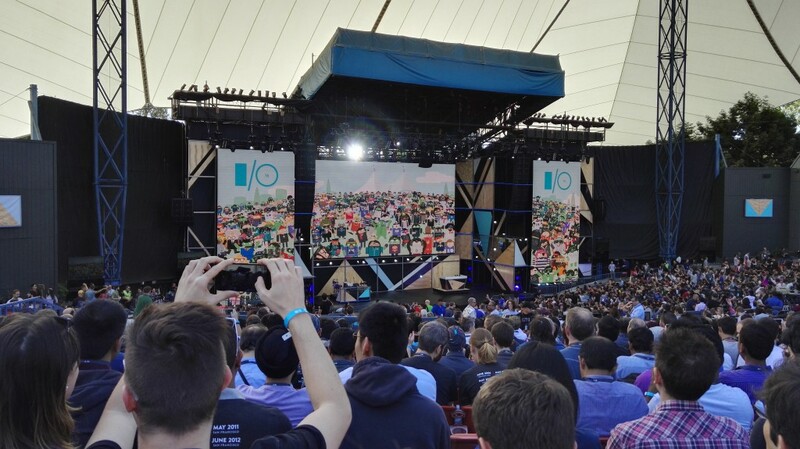 TL;DR: Is Google IO worth the $900? Yes, if you’re up for networking, getting information from experts and enjoy social gatherings. No, if you expect to be able to see talks. You’re better off watching them from home. The live streaming and recordings are excellent. 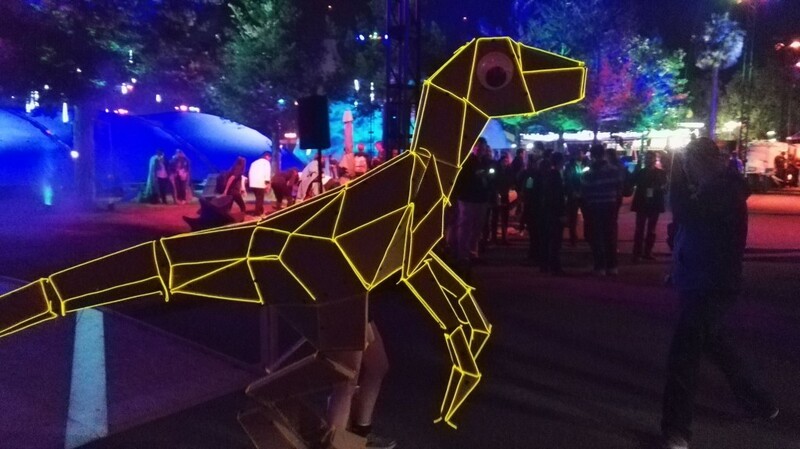 Google IO this year left me confused and disappointed. I found a massive gap between the official messaging and the tech on display. I’m underwhelmed with the keynote and the media outreach. The much more interesting work in the breakout sessions, talks and demos excited me. It seems to me that what Google wants to promote and the media to pick up is different to what its engineers showed. That’s OK, but it feels like sales stepping on a developer conference turf. I enjoyed the messaging of the developer outreach and product owner team in the talks and demos. At times I was wondering if I was at a Google or a Mozilla event. The web and its technologies were front and centre. And there was a total lack of “our product $X leads the way” vibes. Kudos to everyone involved. The messaging about progressive Web Apps, AMP and even the new Android Instant Apps was honest. It points to a drive in Google to return to the web for good. The vibe of the event changed a lot since moving out of Moscone Center in San Francisco. Running it on Google’s homestead in Mountain View made the whole show feel more like a music festival than a tech event. It must have been fun for the presenters to stand on the same stage they went to see bands at. Having smaller tents for the different product and technology groups was great. It invited much more communication than booths. I saw a lot of neat demos. Having experts at hand to talk with about technologies I wanted to learn about was great. Good: traffic control wasn’t as much of a nightmare I expected. I got there two hours in advance as I anticipated traffic jams, but it wasn’t bad at all. Shuttles and bike sheds helped getting people there. Good: there was no queue at badge pickup. Why I had to have my picture taken and a – somehow sticky – plastic badge printed was a bit beyond me, though. It seems wasteful. Good: the food and beverages were plentiful and applicable. With a group this big it is hard to deliver safe to eat and enjoyable food. The sandwiches, apples and crisps did the trick. The food at the social events was comfort food/fast food, but let’s face it – you’re not at a food fair. I loved that all the packaging was paper and cardboard and there was not too much excess waste in the form of plastics. We also got a reusable water bottle you could re-fill at water dispensers like you have in offices. Given the weather, this was much needed. Coffee and tea was also available throughout the day. We were well fed and watered. I’m no Vegan, and I heard a few complaints about a lack of options, but that may have been personal experiences. Good: the toilets were amazing. Clean, with running water and plenty of paper, mirrors, free sunscreen and no queues. Not what I expected from a music festival surrounding. Great: as it was scorching hot on the first day the welcome pack you got with your badge had a bandana to cover your head, two sachets of sun screen, a reusable water bottle and sunglasses. As a ginger: THANK YOU, THANK YOU, THANK YOU. The helpers even gave me a full tube of sunscreen on re-entry the second day, taking pity on my red skin. Bad: the one thing that was exactly the same as in Moscone was the abysmal crowd control. Except for the huge stage tent number two (called HYDRA – I am on to you, people) all others were far too small. It was not uncommon to stand for an hour in a queue for the talk you wanted to see just to be refused entry as it was full up. Queuing up in the scorching sun isn’t fun for anyone and impossible for me. Hence I missed all but two talks I wanted to see. Good: if you were lucky enough to see a talk, the AV quality was great. The screens were big and readable, all the talks were live transcribed and the presenters audible. Apart from the terrible crowd control, two things let me down the most. The keynote and a total lack of hardware giveaway – something that might actually be related. Don’t get me wrong, I found the showering of attendees with hardware excessive at the first few IOs. But announcing something like a massive move into VR with Daydream and Tango without giving developers something to test it on is assuming a lot. Nine hundred dollars plus flying to the US and spending a lot of money on accommodation is a lot for many attendees. Getting something amazing to bring back would be a nice “Hey, thanks”. There was no announcement at the keynote about anything physical except for some vague “this will be soon available” products. This might be the reason. We are Google, we lead in machine learning, cloud technology and data insights. Here are a few products that may soon come out that play catch-up with our competition. We advocate diversity and try to make people understand that the world is bigger than the Silicon Valley. That’s why we solve issues that aren’t a problem but annoyances for the rich. All the things we’re showing here are solving issues of people who live in huge houses, have awesome cars and suffer from the terrible ordeal of having to answer text messages using their own writing skills. Wouldn’t it be better if a computer did that for you? Why go and wake up your children with a kiss using the time you won by becoming more effective with our products when you can tell Google to do that for you? Without the kiss that is – for now. 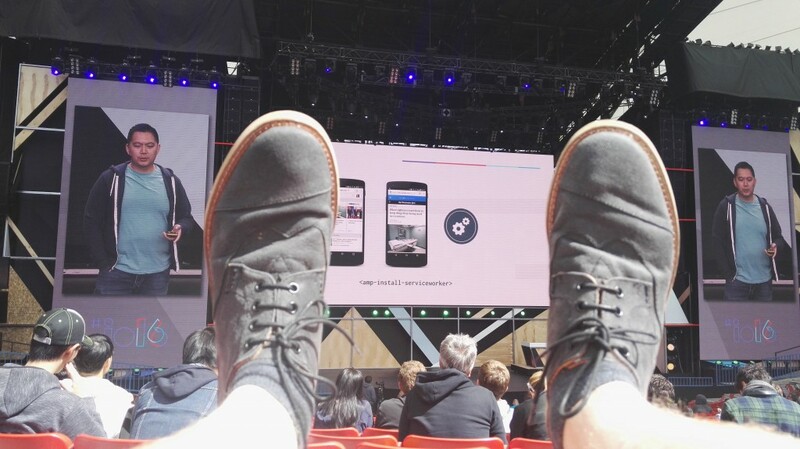 I actually feel poor looking at the #io16 keynote. We have lots of global problems technology can help with. This is pure consumerism. I stand by this. Hardly anything in the keynote excited me as a developer. Or even as a well-off professional who lives in a city where public transport is a given. The announcement of Instant Apps, the Firebase bits and the new features of Android Studio are exciting. But it all got lost in an avalanche of “Look what’s coming soon!” product announcements without the developer angle. We want to look under the hood. We want to add to the experience and we want to understand how things work. This is how developer events work. Google Home has some awesome features. Where are the APIs for that? As far as I understand it, there was a glitch in the presentation. But the part where a developer in Turkey used his skills to help the Syrian refugee crisis was borderline insulting. There was no information what the app did, who benefited from it and what it ran on. No information how the data got in and how the data was going to the people who help the refugees. The same goes for using machine learning to help with the issue of blindness. Both were teasers without any meat and felt like “Well, we’re also doing good, so here you go”. Let me make this clear: I am not criticising the work of any Google engineer, product owner or other worker here. All these things are well done and I am excited about the prospects. I find it disappointing that the keynote was a sales pitch. It did not pay respect to this work and failed to show the workings rather than the final product. IO is advertised as a developer conference, not a end user oriented sales show. It felt disconnected. The social events were great – the concert in the amphitheatre was for those who wanted to go. Outside was a lot of space to have a chat if you’re not the dancing type. The breakout events on the second day were plentiful, all different and arty. The cynic in my sniggered at Burning Man performers (the anthithesis to commercialism by design) doing their thing at a commercial IT event, but it gave the whole event a good vibe. Video recording and live streaming – I watched quite a few of the talks I missed the last two days in the gym and I am grateful that Google offers these on YouTube immediately, well described and easy to find in playlists. Using the app after the event makes it easy to see the talks you missed. Boots on the ground – everyone I wanted to meet from Google was there and had time to chat. My questions got honest and sensible answers and there was no hand-waving or over-promising. A good focus on health and safety – first aid tents, sunscreen and wet towels for people to cool down, creature comforts for an outside environment. The organisers did a good job making sure people are safe. Huge printouts of the Code of Conduct also made no qualm about it that antisocial or aggressive behaviour was not tolerated. 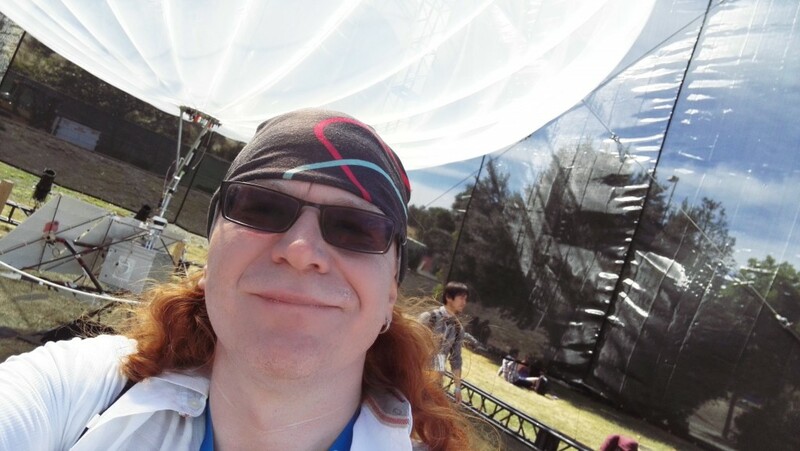 I will go again to Google IO, to talk, to meet, to see product demos and to have people at hand that can give me insight further than the official documentation. I am likely to not get up early next time to see the keynote though and I would love to see a better handle on the crowd control. It is frustrating to queue and not being able to see talks at the conference of a company who prides itself at organising huge datasets and having self-driving cars. Use the web site instead of two apps. Advocating progressive web apps and then telling me in the official conference mail to download the Android app was not a good move. Especially as the PWA outperformed the native app at every turn – including usability (the thing native should be much better). It was also not helpful that the app showed the name of the stage but not the number of the tent. Having more places to charge phones would have been good, or giving out power packs. As we were outside all the time and moving I didn’t use my computer at all and did everything on the phone. I look forward to interacting and working with the tech Google. I am confused about the Google that tries to be in the hands of end users without me being able to crack the product open and learn from how it is done.